returns on PS4™ & PS Vita systems! SNK CORPORATION (Corporate HQ: Suita-city, Osaka, Japan, Company President & CEO: Koichi Toyama) is proud to announce our next project, SAMURAI SHODOWN V SPECIAL on the PlayStation®4 and PlayStation®Vita game systems. This title was originally released in 2004 as the final game for the NEOGEO game console. This release marks the first time that the game will be available on a modern gaming console. We are also pleased to announce that we will be exhibiting the game at EVO 2017, the largest and longest-running fighting game tournaments in the world. Playable demo stations will be available at the ATLUS/SEGA – SNK booth, so please stop by and check it out during the event! 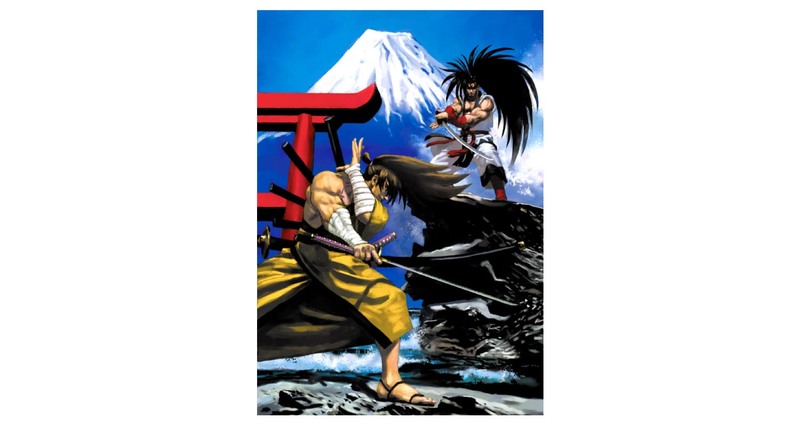 The entire roster and battle system has been balanced from the previous title, SAMURAI SHODOWN V, to create one of the most tactical and exciting games in the series. The game features a robust cast of 28 characters, including previous boss characters in the series such as Gaoh, Amakusa, Mizuki, and Zakuro. Plenty of fan favorites in the series see their return as well! The most iconic addition to this entry in the series is the inclusion of character specific “Overkill Moves”, which can be used to finish off an opponent with style. These ultra-violent moves are available in the original NEOGEO version. * Other company names and product names are trademarks or registered trademarks of their respective companies.